My four year old has just started reception and he has come home with a list of sight words to learn. Sight words are high frequency words that children are encouraged to learn by sight and not by sounding out phonetically. So lets face it learning sight words is not a very exciting prospect as there isn't any actual teaching involved. 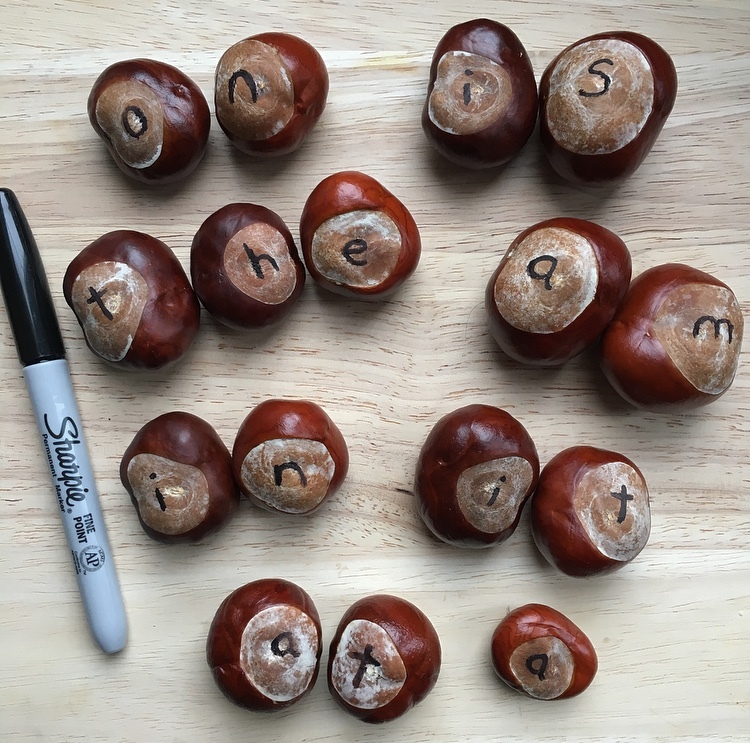 To make it more fun I created a simple but effective conker match. I wrote each letter of each sight word onto a conker with a sharpie then placed them in a container alongside some blank ones. 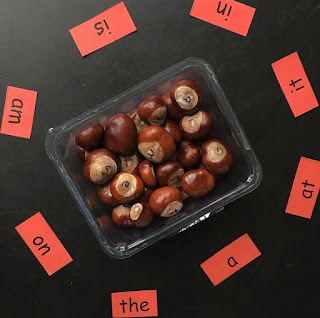 I used his sight words from school and placed them around the container so he could see them all clearly. 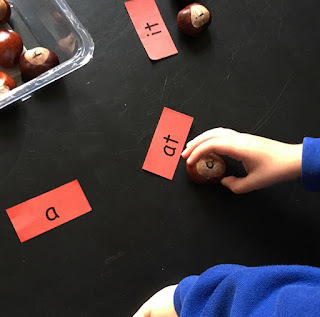 If your child doesn't have sight words you can simply write them on a piece of paper and cut them up. 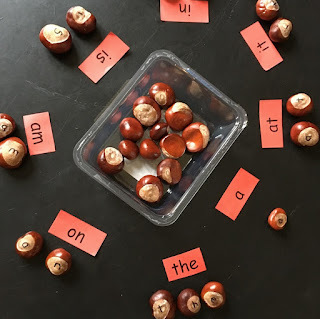 I wanted this activity to be fun so I didn't ask him if he knew what any of the words were, I just let him find the conker letters so he could match them up with the sight word letters. Once he had matched the conkers to the sight words I would let him know what each one was. This was a really quick and easy way to make sight word learning more interesting and another way to make use of the hundreds of conkers that we have! To receive our blog posts, latest news and offers straight into your inbox please click here to sign up to our newsletter.